I bought these once at Fresh Market already done and they were delicious. 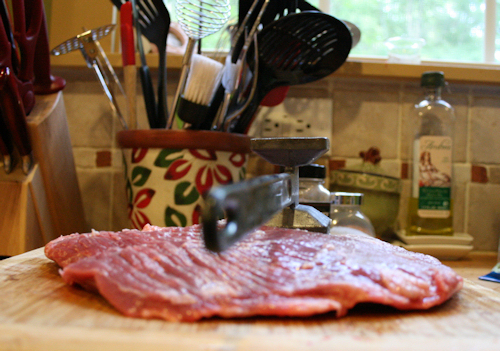 Well, I got a heck of a deal on a very pretty piece of flank steak so I thought I’d try my hand at this. I mean, I know what it is supposed to taste like, I am pretty good at grilling steak and I will stuff anything that doesn’t move with cheese! 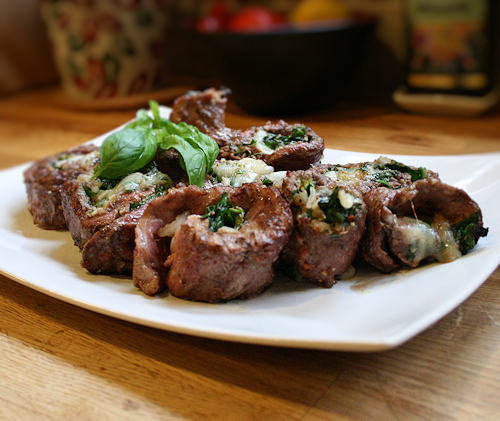 They came out really nice; rich and they had a buttery texture like the perfect fillet. 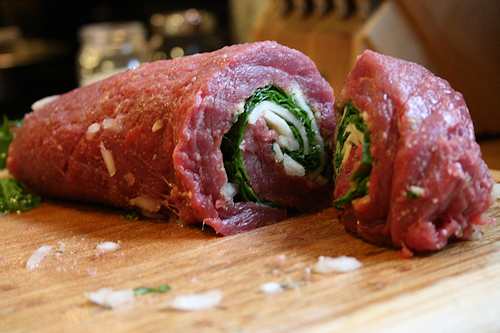 The flavor from the garlic and parsley went really nice with the spinach. 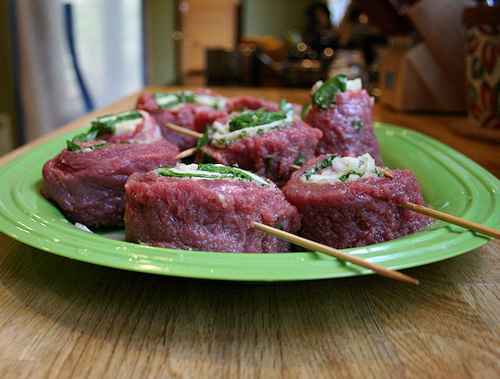 I love how pretty they are when they are on the skewer for a really nice visual presentation. This is perfect for date night. 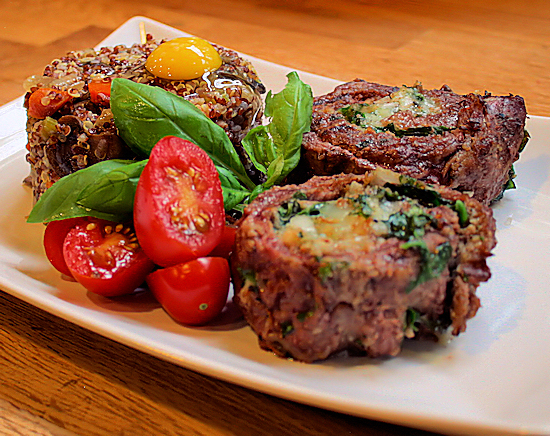 I served this with veggie quinoa topped with a decadent quail egg. One nice piece of flank steak. Mine was a little over a pound and fed 4. 1 tbs of Italian breadcrumbs. 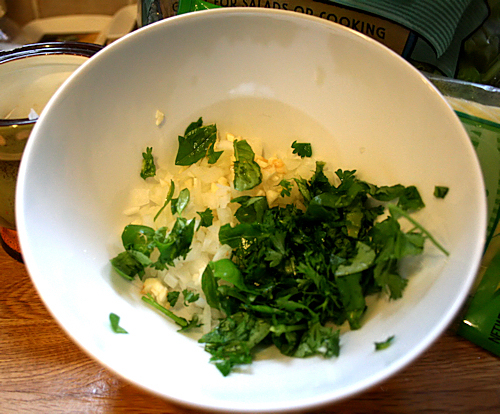 First thing is to get your garlic, parsley, onion and breadcrumbs. Add in 1/4 cup of olive oil, a dash of pepper and salt and set aside. 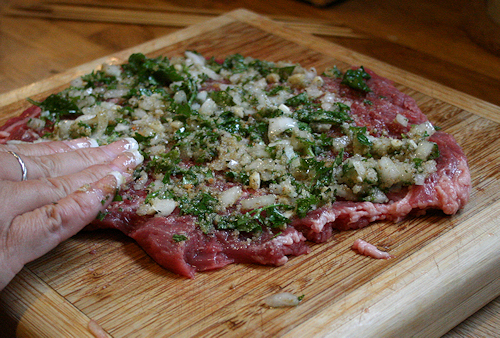 This will be the rub for the inside of the flank steak. 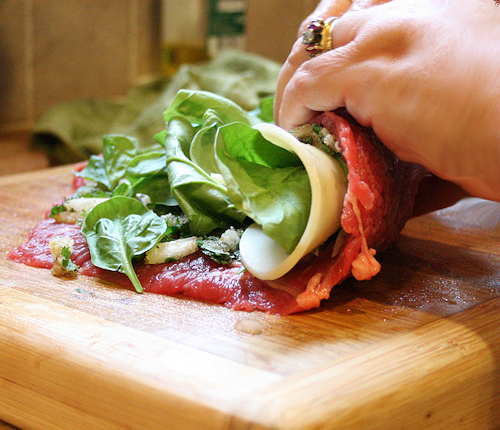 Next We want to butterfly the flank steak. Essentially, this means make two nice halves by cutting it through the middle. 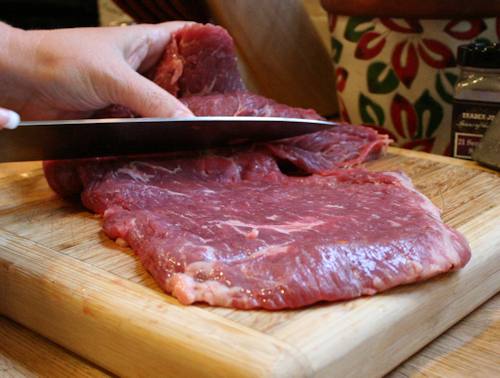 You will need a really sharp knife and it should slice like butter. When this is done, you can use a mallet to pound it out really flat. I do this before and after the butterflying. 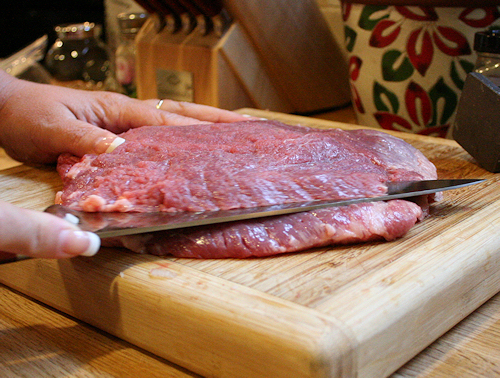 Lay the flank steak lengthwise so that the grain runs at you for a nice roll. counter. 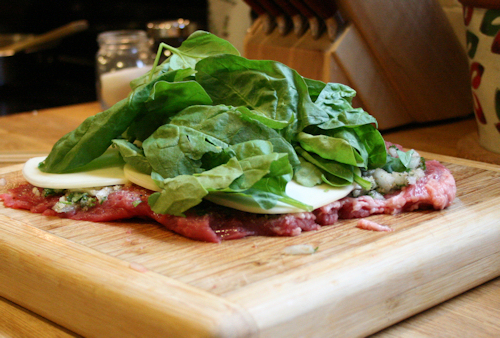 Now that this is laid out and as nice of a shape as we can get it, add your parsley mixture. 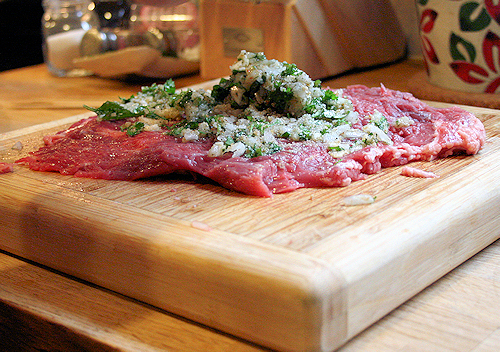 Smear it into the steak nice and even. 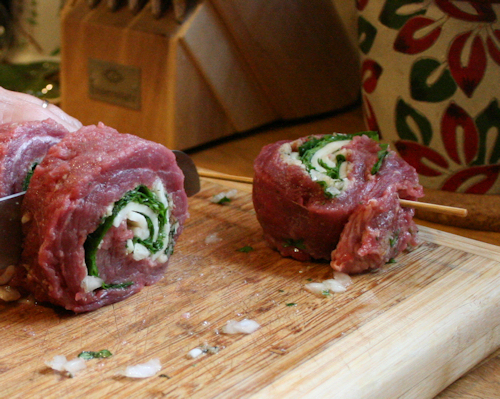 Next add the cheese and spinach in any order of layering. 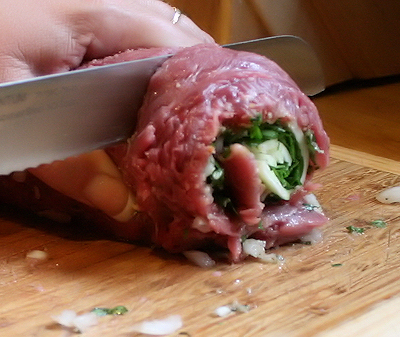 Take the end closest to you and roll up the meat and filling nice and tight, rolling away from you. Place the seam on the backside. The filling should hold nicely inside while folding. 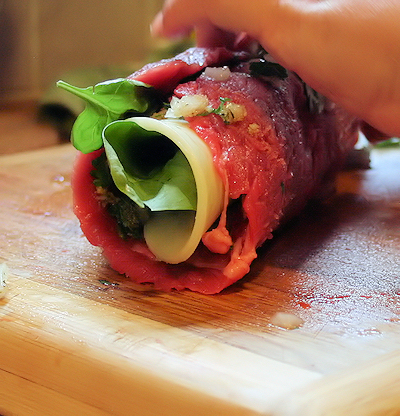 Take your sharp knife and slice a nice clean roll. Now some people tie it up after rolling with string but I am just not that fussy. The skewer has always held just fine. 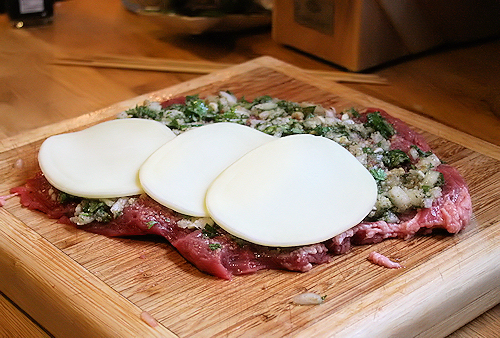 Once all of these are sliced and skewered, lightly drizzle with olive oil on both sides. What I did to prepare for this was drizzle my plate first then I only had to cover the one side. This makes it so that they don’t stick to your hot grill. The grill should be on medium heat. 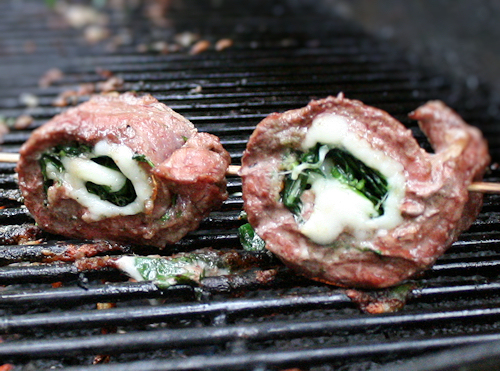 Grill pinwheels right over the hot side of grill until you have a nice color. It should take about 4 to 6 minutes. 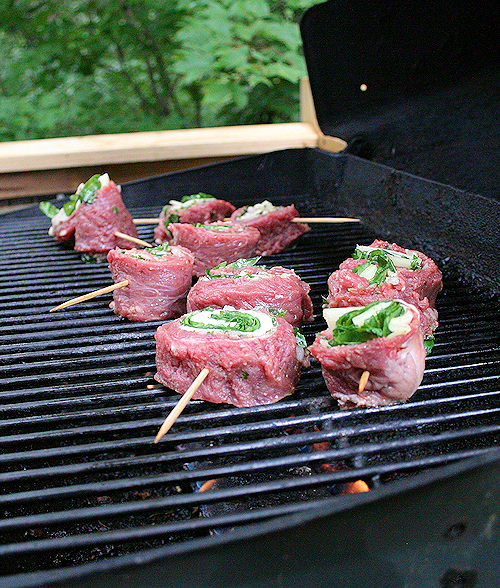 Using tongs, flip each pinwheel and grill on the opposite side until it is also well browned, about 3 to 5 minutes more. I find the breadcrumbs cut down on the dripping of the cheese. 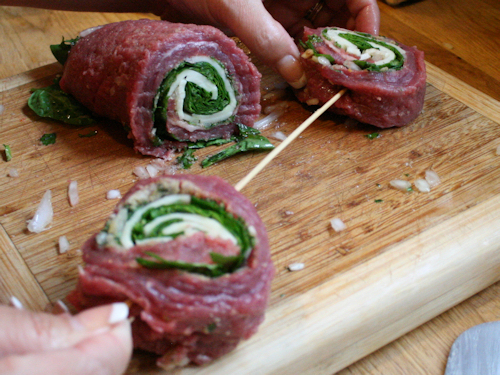 When it is browned on the second side, move them to a cooler part of the grill, close the lid and continue to cook until the middle part of the flank pinwheel registers 125 degrees on a meat thermometer. This should take about 5 minutes more. 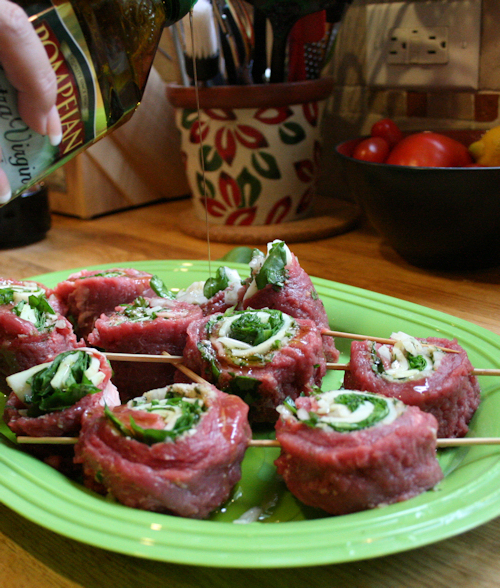 When done, take your pinwheels off and let them rest for about 5 minutes under a tin foil tent. Remove those skewers and enjoy! 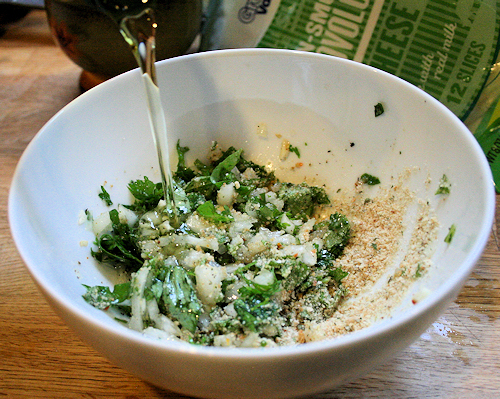 Click here for the Quinoa with Veggies recipe. These looook sooo amazing! Will defiantly be trying out!